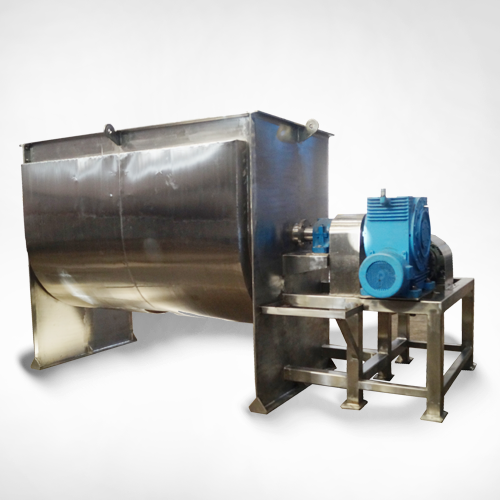 U Type Ribbon Blender is used for mixing various types of powder or granules in a large volume application. The Self-designed ribbons helps the uniform mixing of the material. Incorporated in the year 2009, we "The Pattish Enterprises" are the leading manufacturer, exporter, importer and trader of a wide range of Pulverizer Machine and Mill, Bakery Mixer, Uruli Roaster, Halwa Making Machine, etc. These food processing machines are easy to operate and require minimum maintenance. In addition to this, these food processing machines are known for their high performance, low maintenance and longer serving life. Offered by us at industry leading prices, these food processing machines are highly appreciated among our patrons. By following customer-centric and ethical business policies, we have been able to understand the needs and requirements of our esteemed patrons. Being a quality focused and oriented company, we assure that the premium quality of the offered food processing machines is never compromised at our end. Moreover, the offered food processing machines are available with us in user-defined specifications.